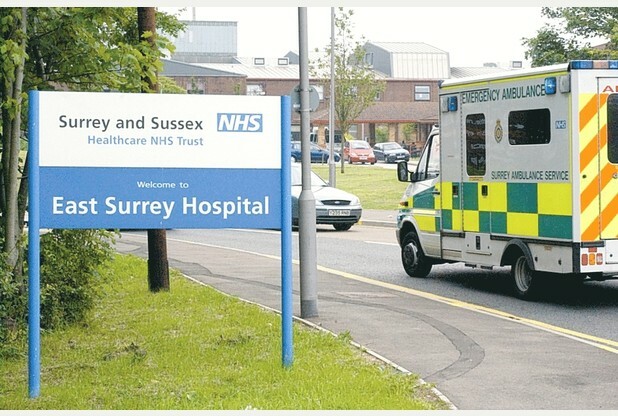 A NURSE has been struck off for “bullying” a “vulnerable” bipolar patient at East Surrey Hospital. Mary Majella Kenny, who was a nurse on the acute medical unit at the Redhill hospital, has been removed from the Nursing and Midwifery Council (NMC) register after being found guilty of common assault by beating. The decision was taken by the NMC’s Conduct and Competence Committee during a two-day hearing, split between days in January and March this year. According to a report of the hearing, Claire Paget, who represented the council at the first hearing, told the panel that on January 3, 2013, a patient, known as Patient X, was taken to use a commode by members of staff when she started to shout and flail her arms around. During the incident, a health care assistant was struck on the arm.